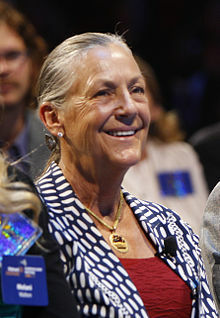 Alice Louise Walton (born October 7, 1949) is an American heiress to the fortune of Wal-Mart Stores, Inc. She is the daughter of Walmart founder Sam Walton and Helen Walton, and sister of S. Robson Walton, Jim Walton and the late John T. Walton. As of May 2018, Walton had a net worth of $41. In September 2016, she was reported to own over US$11 billion in Walmart shares.